In Q4, Netflix registered global net adds of 8.3m, the highest quarter in its history and up 18% vs last year’s record 7.05m net adds. This exceeded the 6.3m forecast due primarily to stronger than expected acquisition fuelled by the original content slate and the ongoing global adoption of internet entertainment. In the US, memberships rose by 2.0m (vs forecast of 1.25m) bringing total FY17 net adds to 5.3m. Internationally, Netflix added 6.36m memberships (compared with guidance of 5.05m), a new record for quarterly net adds for this segment. International revenue and ASP grew 59% and 12% year over year, respectively. Satirical consumer affairs show The Checkout is coming back to the ABC with a new look and new segments. And for the first time since its inception in 2013, it has a new time slot too – Tuesdays, 8pm. “Viewing habits have changed a lot with videos being watched on many different screens. 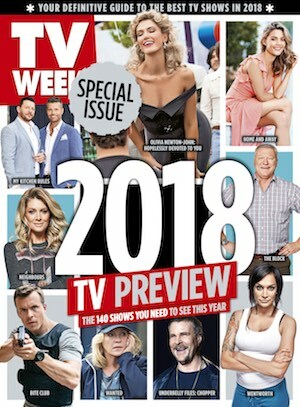 But the one thing that hasn’t changed is consumers being ripped off,” The Checkout EP and presenter Julian Morrow told Mediaweek a week out from the premiere of the sixth season. Morrow is also a member of the comedy group The Chaser, who have had a self-titled TV show on the ABC. In his life before The Chaser, Morrow used to work as an employment lawyer. The first season of The Chaser on ABC, which was an election special, came out in 2001. This, Morrow pointed out, involved the production team dealing a lot with ABC’s legal department. The Australian executive who some shareholders hope will be appointed CEO of Domain Holdings Australia, Greg Ellis, is committed to his current job in Germany but will help develop the real-estate marketing business, which was rocked Monday by the resignation of its chief executive, a spokesman for Ellis said, report The AFR’s Aaron Patrick and James Thomson. 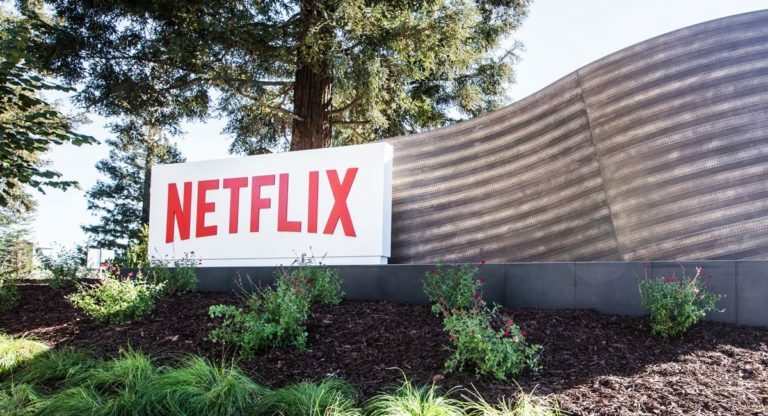 Netflix has reported it grew streaming revenue 36% to over US$11 billion in calendar year 2017, added 24 million new memberships (compared to 19m in 2016), achieved for the first time a full-year positive international contribution profit, and more than doubled global operating income. Internationally, Netflix added added 6.36m memberships (compared with guidance of 5.05m) in Q4, a new record for quarterly net adds for this segment. With contribution profit of $227m in 2017 (4.5% contribution margin), the international segment delivered its first full year of positive contribution profit in Netflix history. Netflix’s largest investment in original films to date, Bright, a fantasy action movie starring Will Smith, was labelled a major success and drove a notable lift in subscriber acquisition. 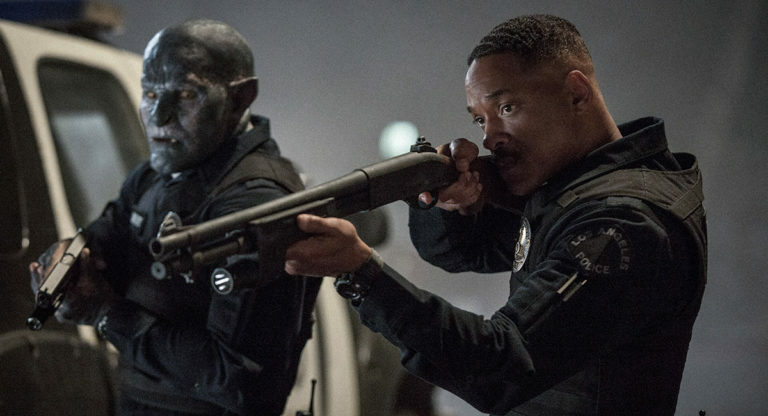 In its first month, Netflix reported Bright has become one of its most-viewed original titles ever. 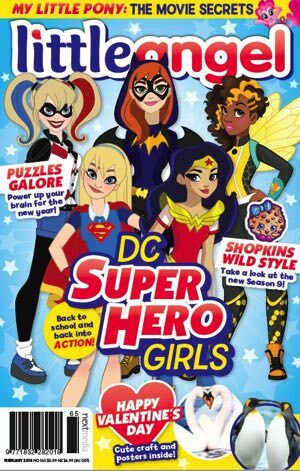 “We’re thrilled with this performance and are planning a sequel as well as additional investment in original films,” said Netflix in a statement. Britain’s competition regulator said Rupert Murdoch buying all of Sky was not in the public interest because it would give the media mogul too much influence, but set out possible remedies that could allow the $15 billion deal to go ahead, reports Reuters. The initial ruling complicates a plan by Walt Disney Co to buy many of Murdoch’s assets, including the pan-European satellite business Sky. Disney had hoped that Murdoch would have taken full control of Sky by the time the US group completed its takeover. But Britain’s Competition and Markets Authority said on Tuesday that the deal as proposed went against the public interest because it would give the Murdoch family too much control over the provision of news. The CMA said possible ways to resolve its concerns about Murdoch’s influence in Britain could include spinning off or divesting Sky News, or insulating Sky News from Fox’s influence. A third option is to block the deal outright. Disney’s acquisition of parts of 21st Century Fox could make it easier for Rupert Murdoch’s family to buy the portion of European broadcaster Sky that it does not already own, it has emerged, reports CNBC. If Disney does go ahead and buy parts of Fox, including its movie studios, TV networks and streaming service Hulu, as well as Fox’s 39.1% of Sky, then there would be no such concerns, the regulator said. A trade group representing Fairfax Media, News Corp Australia and Seven West Media’s West Australian Newspapers has thrown its support behind Rupert Murdoch’s call for Facebook to start paying publishers for written articles and video content, reports The Australian’s Darren Davidson. Murdoch has turned up the pressure on Facebook chief executive Mark Zuckerberg to make good on a promise to stamp out fake news and promote quality journalism by proposing that the social network giant adopt a new model, much like a cable distributor pays television channels for programming. 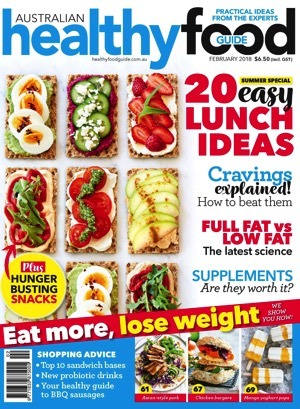 Peter Miller, chief executive of NewsMediaWorks, described the initiative as a “cracking idea”, saying he was “confident there would be support among our members”. 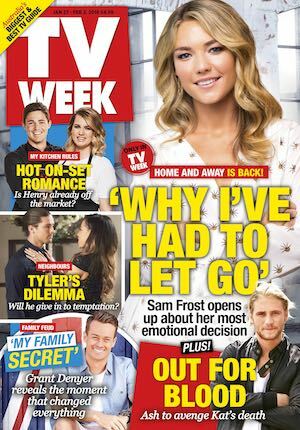 “Carriage fees for trusted content would seem to describe a ‘new financial model’, but actually paying a reasonable fee for valuable content is not a new concept at all,” Miller said. 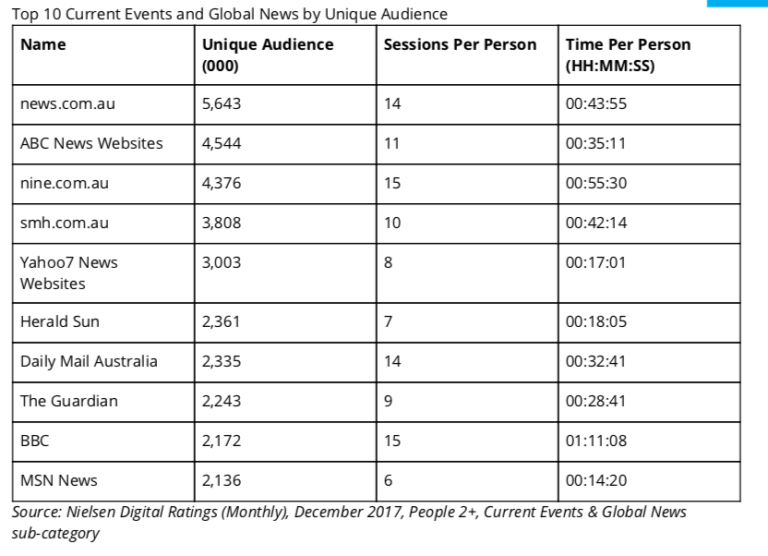 December 2017 digital news rankings released this week by Nielsen revealed that news.com.au (5.6 million) remained the top news entity and grew 7% when compared with prior year. In second place were ABC News websites (4.5m, +8%), which moved up from third when compared to December 2016, switching places with nine.com.au (4.4m, +3%), which secured the third spot. Smh.com.au (3.8m, +4%) remained in fourth place. In comparison with December 2016, there were changes in the ranking order for the next six news entity rankings. Yahoo7 News websites (3.0m, +21%) moved from seventh to fifth place, followed by Herald Sun(2.4m, +9%), which jumped from ninth place to sixth place. 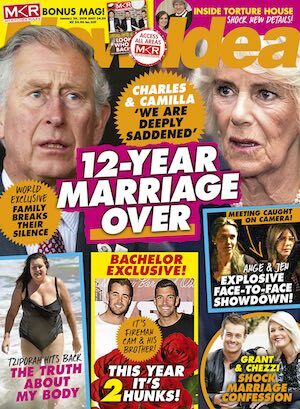 Daily Mail Australia (2.3m, -14%) which had previously held fifth place in December 2016, moved back to seventh place. Next was The Guardian (2.2m, -13%), which dropped from sixth to eighth, and BBC (2.2m, -10%), which moved into ninth place from eighth place. Lastly was MSN News (2.1m, +6%), which moved into the top 10. QMS Media has announced changes to the structure of the group’s senior executive team, with the appointment of divisional leaders across its Australian media and production businesses. John O’Neill, currently chief sales officer, has been appointed to the role of CEO of QMS Australia. O’Neill has over 20 years’ experience in the outdoor media industry, developing and leading sales teams at Eye Corp, Media Puzzle and oOh!media. In his new role as CEO, O’Neill will be responsible for leading and managing the Australian media business through the implementation of the next evolution of QMS’s multiplatform engagement strategy across digital, outdoor and sport media. Nathan Sable, currently managing director of QMS’s production company Omnigraphics, will become CEO of QMS production and assume oversight of all QMS’ Australian production and logistics businesses, including Omnigraphics, MMT and BMG. Sable has years of experience across the print production industry, and he will be responsible for driving operational efficiencies across the Group. Reporting to the group CEO Barclay Nettlefold, O’Neill and Sable will assume immediate operational responsibility of each of the businesses and enable the group CEO to dedicate a greater degree of focus on the strategic direction and future growth of the QMS Media Group as a whole including international opportunities. oOh!media has appointed Sheila Lines chief financial officer, effective 1 March 2018. Lines has extensive experience in public practice and in listed companies within technology, banking, telecommunications, payments and personal transport sectors. 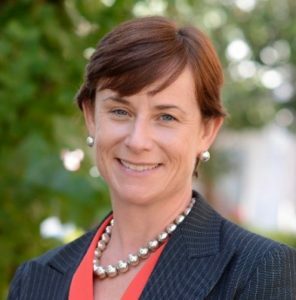 She was most recently the CFO of Cabcharge Limited until December 2017 and previously held the roles of CFO at BPAY Australia, independent non-executive director at the Bank of NT Butterfield & Son and CEO at Key Tech in Bermuda. ARN has opened its wallet for a new marketing campaign for KIIS 101.1 in Melbourne. 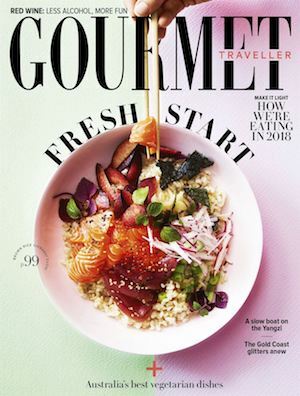 The broadcaster indicated it is one of the largest multichannel campaigns it has ever done in the market, designed to build familiarity for new breakfast hosts Jason “Jase” Hawkins and Polly “PJ” Harding and their content. 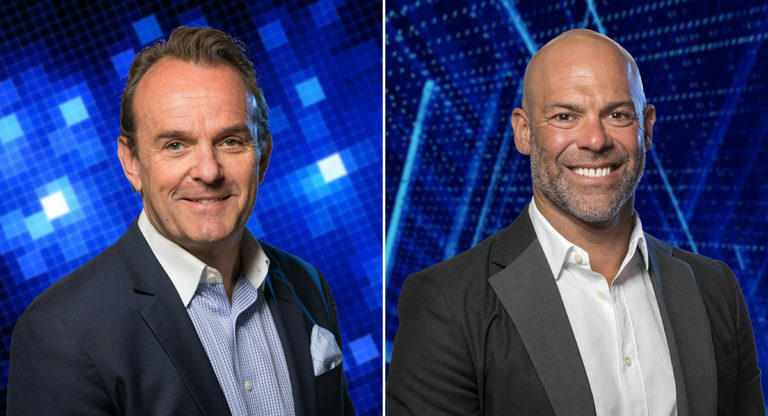 Both broadcasters are new to the Melbourne market and both ARN and the hosts are undertaking a do-or-die effort to lift the station, which has underperformed in the market for some time. ARN’s chief marketing officer Anthony Xydis said the agency JOY was engaged to create the campaign in conjunction with ARN’s marketing department content teams and Jase & PJ themselves. 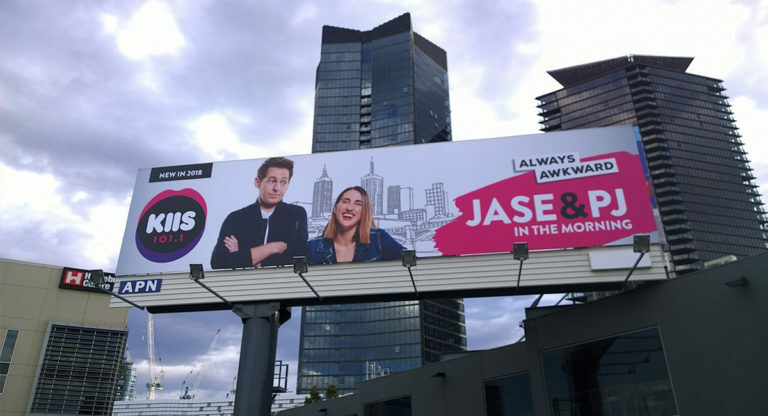 “We’re excited to launch our latest marketing campaign in Melbourne for KIIS 101.1. It’s one of the largest multichannel campaigns that ARN has put in market and is designed to build familiarity for Jase & PJ and their unique brand of ‘always awkward’ content,” Xydis said. “The TV campaign, developed with our creative agency JOY, the ARN marketing and content teams and both Jase & PJ, sees Jase & PJ caught in awkward lift situations during their first days at KIIS with an awkward selfie, a loud burp and the discovery of bird poo in PJ’s hair all reflecting the fun, unique and often sibling-like relationship that Jase & PJ share. SEN is the only place where sports fans will hear every game of AFLX live, the radio station confirmed this week. AFLX is a seven-a-side three-day competition often compared to what T20 is for cricket. AFLX kicks off on February 15 in Adelaide when Adelaide, Port Adelaide, Collingwood, West Coast, Fremantle and Geelong play at Hindmarsh Stadium, with the other matches being played at Etihad Stadium (Melbourne, North Melbourne, St Kilda, Carlton, Hawthorn and Essendon) the following night and at Allianz Stadium (Sydney, GWS Giants, Brisbane, Western Bulldogs, Richmond and Gold Coast) on the Saturday. SEN breakfast co-host Tim Watson said that he is looking forward to seeing the reaction to the high-paced game. “All those people now that may be naysayers about this, if they tune in and watch this game they will be the first to call in and say they were wrong,” he said on SEN Breakfast.